The new CNN.com is a cleaner, bolder and richer experience, bringing you the most critical stories of the world we live in. Our video player is now bigger and available in more places throughout the site. It’s easier to search and discover content such as correspondents' on-the-ground reporting, "Anthony Bourdain: Parts Unknown" clips, original digital series and exclusive interviews across all of your devices. 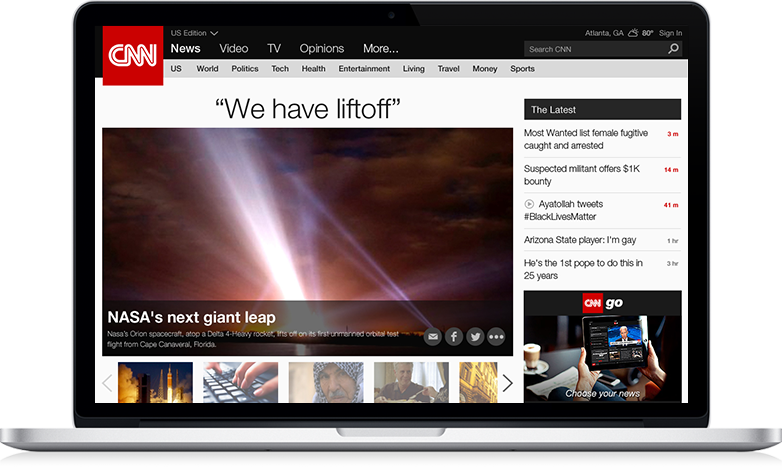 Plus, it's easier and faster than ever before to share CNN's stories across Facebook, Twitter and more. The new CNN.com has a consistent look and feel across all of your devices. We've redesigned our pages to make navigation a snap – so you can get right to the videos and stories you want. CNN's trademark TV ticker is now online. Go to live TV or jump to featured stories instantly. 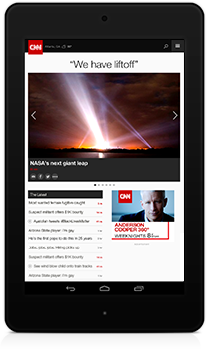 Customize your CNN experience and see your favorite contributor's articles, videos and exclusive content all in one place.